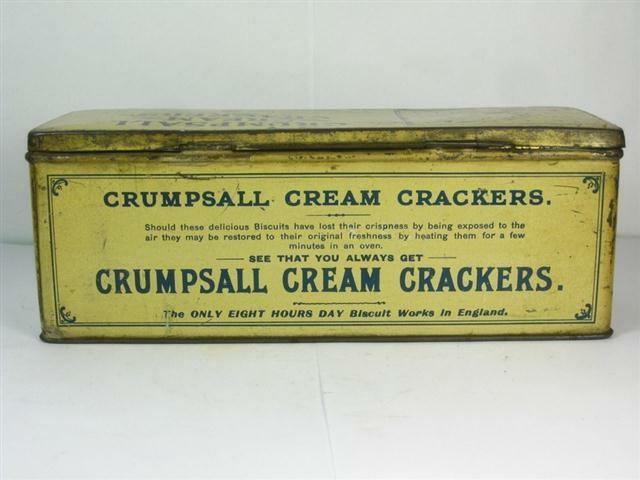 The name Crumpsall derives from old English and means a “crooked piece of land beside a river”.Crumpsall was rural in character during the early part of the 19th century, however, the necessity to house Manchester’s growing population of mill workers saw the area become more urbanised. Crumpsall was incorporated into the city of Manchester in 1890. Sir Humphrey Chetham was born in Crumpsall in 1580, the son of a successful Manchester merchant who lived in Crumpsall Hall. He was responsible for the creation of Chetham’s Hospital (now Chetham’s School of Music) and Chetham’s Library, the oldest public library in the English-speaking world, and located in the city centre. The Moors murderess Myra Hindley was born in Crumpsall in 1942. Actor and singer Don Estelle (Gunner “Lofty” Sugden in It Ain’t Half Hot Mum), real name Ronald Edwards, was born and brought up in Crumpsall. Jason Orange of band Take That was born at North Manchester General Hospital in Crumpsall. I could be your Crumpsall correspondent if you like. Although I live in Stockport, I’ve worked at North Manchester General Hospital in said Crumpsall for 26 years now. Like most of north Manchester, it’s looked down upon by the Didsburyites and Chorltonites that I find myself knocking about with. The birthplace of Mike Harding, Don Estelle, and Myra Hindley, though we tend to gloss over the last one. For many years it was home to the stunning Co-op Biscuit Works, which produced the “Crumpsall Cracker.” The Co-op knocked it down in the eighties. They’ve gone downhill ever since. Wondered if you might want to post this on the site. Being able to listen to A Thin Red Line again after all this time, I was wondering who to share my joy with. Who better than someone steeped in the history of Scottish pop like yourself. Feel free not to if it doesn’t fit in with what you want to be doing with the site. Without the archive of the old site to check, I can’t say how much attention you’ve paid in the past to TV21, though I think they got a mention when they reformed a couple of years ago. Back in 1981, when their magnificent debut was released it stuck out as being out of the ordinary and it certainly struck chord with me, despite the fact that as a 16 year old in a sleepy Staffordshire village I still had to order it from Burton-on-Trent’s only independent record shop. Having just obtained a digital copy of Snakes And Ladders – Almost Complete: 1980-82 and rearranged the running order to make it fit that of “A Thin Red Line” the thing that amazed me most of all, was that even though I’ve not played the album for nigh on thirty years, I still the know the lyrics to every song, all the way through. Even back then, TV21 always seemed to stand slightly apart from the rest of the music scene, the Scottish scene in particular. They differed from the Postcard/Pop Aural gang that we all loved at the time – slightly more cerebral, with some Angry Brigade thrown in as well – the Provisional wing of the Sound of Young Scotland. A fuzzy, indeterminate picture on the cover, no band photos or biogs on the inner sleeve, it was obvious that to them, it was all about the music. Stomping baselines and a heavy drum sound behind teenage angst, plus more than a touch of the political consciousness of the day that again made them stand out from the crowd. Musically and politically, they seemed to stand nearer to the likes of Fischer-Z than their Scottish, more jangly contemporaries. Maybe because it was produced by child prodigy Ian Broudie (he was only 23 at the time), or maybe because they’d already worked with Troy Tate of the Teardrop Explodes, it sounds surprisingly Liverpudlian, with the brass sections on Snakes and Ladders and Tomorrow fading in and out, straight out of the Teardrop’s Kilimanjaro. Listening again after so many years, it has more than stood the test of time. Ticking Away for example would not have sounded out of place if it had appeared on the new Teleman album, one of the best albums of 2014 so far. Yet they also seem perfectly at home sandwiched between the Fire Engines and Dolly Mixture on Scared To Get Happy, a recent 5 disc box set covering ten years of 80’s indie pop. “A Thin Red Line” is an often overlooked masterpiece, a combination of punchy pop songs with an underlying rage against the machine. Seek it out. TV21 are not that far away from featuring on the Saturday’s singles series and I’ll say a bit more about them then. What I can say is that Mike Melville, who has an incredibly good taste in music and is responsible for the very fine blog Manic Pop Thrills, is a huge fan of the band and has in fact promoted a number of their gigs a few years back following the reformation of TV 21. If you take a visit over to his place (click here) you will find plenty of postings in his archives about the band including some great photos and reviews as well as a tremendous podcast back in January 2010. The release of You Are The Quarry in 2004 made for a triumphant comeback, but if anything the pressure on the 2006 follow-up LP Ringleader Of The Tormentors was even more intense as we waited to see if the quality could be maintained. The new single was only officially made available some 7 days before the LP, but of course was already widely known thanks to regular airings of the video as well as leaked copies being posted on the internet. 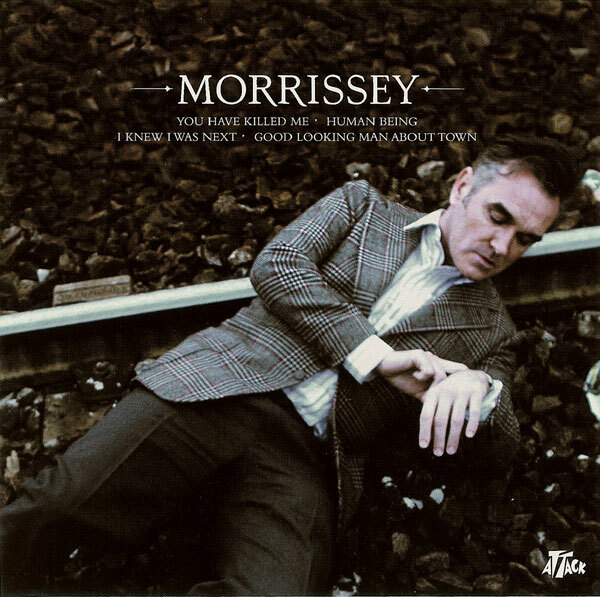 Lyrically, You Have Killed Me is one of the most unusual singles ever released by Morrissey. They drew on the film Accatone, a work released in 1961 and dealing with pimps, prostitutes and thieves living in a rundown part of Rome, and also namechecked other Italian film stars (although I’ll confess to not knowing any of them before this single was released). At this point in time, Morrissey was obsessed with Rome, choosing to both live and record the latest LP there. It’s a single that I reckon is one of his classiest throughout his long solo career, although I know a number of fans were disappointed that it was so radio-friendly, thanks to the influence of Jesse Tobias, the new guitarist in Morrissey’s band, and co-writer of this single. (Tobias had previously been associated with a number of mainstream American acts). By now no-one could reasonably expect the great man to be churning out pastiches of The Smiths, and in reality, all he was doing was reflecting the sort of music that many of his ageing fans were listening to elsewhere. The b-sides were also quite interesting. One was a near unrecognisable cover of an old track by The New York Dolls, a 70s act that Morrissey had been obsessed with as a teenager, while the two original tracks were similar to the single in sounding polished and rather mainstream. A fabulous collection of songs if you were prepared to accept it was time for Morrissey to start acting his age….indeed, it could be argued that the two original b-sides are as good as anything that was on the critically acclaimed LP many of us rushed out and bought the following week. Continuing the theme of The Eternal City, the sleeve shot was taken on railtracks in the Pigneto zone of Rome by Italian photographer Fabio Lovino. Oh and I meant to also say that You Have Killed Me remains one of the great man’s most succesful singles, hitting #3 in the UK charts at the beginning of May 2006, and helped the LP hit #1 in the album charts shortly afterwards – only the third of his LPs to hit that spot (the others were Viva Hate and Vauxhall And I). Creeping Bent, aka The Creeping Bent Organisation, is an independent record label set up by Douglas MacIntyre in 1994, based in Glasgow, Scotland. 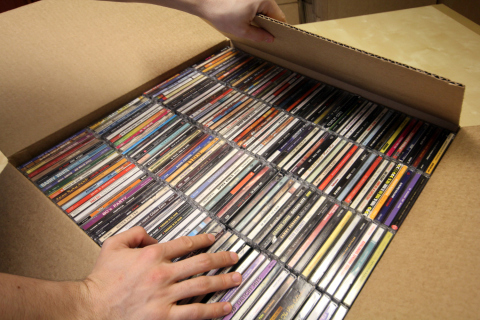 The label has been described as a successor to earlier Scottish indie labels Postcard Records and Fast Product. 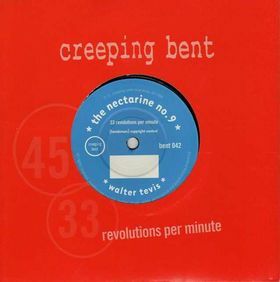 Creeping Bent was officially launched with an event at Glasgow’s Tramway theatre on 12 December 1994 called “A Leap Into The Void” in homage to Yves Klein, and featuring film, theatre and pop music.”Frankie Teardrop”, a 1995 collaboration between Suicide vocalist Alan Vega and Altered Images drummer Stephen Lironi, was an NME single of the week in 1995. Creeping Bent was chosen by John Peel as the featured label when he curated the 1998 Meltdown Festival at the Royal Festival Hall. The Secret Goldfish were a band from Glasgow who took their name from an imaginary book from the novel The Catcher in the Rye. They released three albums and several singles in the 1990s, on the Glasgow based Creeping Bent record label. Their first album, 1996’s Aqua Pet…You Make Me was produced by Stephen Lironi. Their sound has been described as “sounding much like The Jesus and Mary Chain locked in a public toilet with Jefferson Airplane and The New York Dolls”. Second album Jet Streams was released in 1997, and in 1999 they issued the Somewhere in the World EP, the lead track of which was co-written by Vic Godard and featured Francis MacDonald and Stevie Jackson. A final album, Mink Riots followed in 1999, before the band split up. The Nectarine No. 9 was an indie band from Edinburgh, Scotland. Formed by former Fire Engines frontman Davy Henderson in 1991, the band’s music has been described as “dark, moody and brilliant” and “noisy guitar rock with quirky rhythms”. The Nectarine No. 9 released several albums throughout the 1990s and 2000s, and recorded seven John Peel sessions. The past two days of postings have been a tad grumpy what with being the underwhelming Salad being followed by the incredibly disappointing 13th single from James. The solution therefore has to be a song that has the ability to make me smile no matter the mood I’m in whenever it pops up on the i-pod. It’s one that some readers may be surprised to find featured on t’blog as, let’s face it, it is a song that is ridiculously light and rather inconsequential when it comes down to it, rarely if ever to feature on any countdown of all time favourites for a particular month far less a lifetime, but I have professed my love for this tune on previous occasions over at the old place. It was back in August 1992 when this delectable piece of pop caught the summer feeling and climbed its way to #12 in the UK charts and two years on from when Betty Boo (whose real name is Alison Clarkson) had first come to the attention of the public when she had enjoyed two Top 10 singles and a very successful debut LP that reached #4 and led to her being named Best Breakthrough Act at The BRITS. This was the last time however, that Betty Boo bothered the charts as a solo artist. The follow-up singles flopped badly while the LP from which they were lifted sold miserably and reached just #66. Alison Clarkson however, has managed to maintain a career in and around the music industry, chiefly as a songwriter for a number of disposable and largely forgettable acts. Click here if you want more. That it has been almost a full month since the previous entry in this series will perhaps give you an idea of how difficult it has been to do this post. 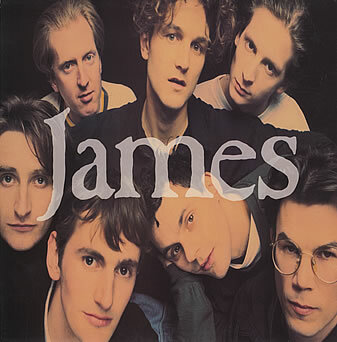 James had finally captured the hearts and minds of music fans in the UK and indeed across much of Europe. All those years of blood, sweat and toil and what had been Manchester’s greatest secret was out there in the open. All that was needed now was a poptastic sing-a-long single at the end of 1991 to provide a perfect preview for the new hugely anticipated LP that was due out in the early months of 92. But if you’ve been following this series, you’ll know that with James, it’s usually always a tale of the totally unexpected with a twist nobody anticipated. The release of Sound in November 1991 was certainly that. Listening to it now still fills me with horror. Yup, releasing a six-minute single with no discernible chorus can be seen as brave….but it only works if the music can hold the listener’s attention which sadly in this case it did not. There are some who thought it was evidence of an inevitable drift into stadium rock thanks to the size of arenas that the band could now sell out in a matter of minutes but quite frankly it is just not bombastic enough to fall into that category. It sounds to me like a band who were confused about what to do next and the results were a messy mix of a record having big contributions from everyone with no overall sense of control. Released on 7″, 12″, cassette single and CD single. Sound did reach the Top 10 in the UK but only for one week before dropping like a stone. This was one bought by fans only and not, as with the re-released Sit Down, by casual listeners attracted by the vibrant pop blaring from their radios. All My Sons appears to have been included as the antidote to the single, clocking in at under two minutes. Dating back to the early 90s, it was really an outake from the Goldmother era….but worryingly boring. Oh and it was also disappointing to get yet another remix of Come Home…….. Hands up if you can name the band in the picture above…..
OK….some of you may have cheated in that you’ve alerts to the mp3 and were able say with some confidence that it is Salad. But how many of you can name the four members who made up the band??????????? That’s a bit more tricky isn’t it………………. Formed in 1992 by vocalist Marijne van der Vlugy, (a Dutch-born model and one time VJ on MTV), guitarist Paul Kennedy, bassist Pete Brown and drummer Rob Wakeman, two singles released on their own Waldorf label in the latter half of 1993 got a few London-based meeja folk awfully excited and the band were touted by some as the next big thing as so often happens when a good-looking female singer backed by three nondescript and interchangeable blokes form a band….especially when they form a band in London. An indie offshoot of Island Records threw a shedload of money at them and bosses watched on aghast as subsequent singles failed to crack the Top 40. I’m guessing though that a bit of touring, either as support to high-profile acts or via the small venue UK circuit that became so popular at the height of Britpop, got Salad a bit of a following as the debut LP, Drink Me, reached #16 in the charts upon its release in May 1995. But still the hit single proved elusive. Two years on, a follow-up LP was released to complete disinterest – #127 for one week only would probably have meant sales in the hundreds. The band was dropped and split almost immediately. Van der Vlugt now writes and sings with Cowboy Racer, whose song “Yellow Horse” featured on the U.S. television show, Grey’s Anatomy. Pete Brown and Rob Wakeman established the popular entertainment site, BoreMe, which Pete Brown now runs on his own. Charley Stone played guitar with Spy51, but their website has not been updated since 2001. She also performed some live dates with Fosca in Sweden in March 2008. Rob Wakeman released a few Tech House and Techno singles between 1999 and 2002, including Legs With Wings on City Rockers (2002). Rob Wakeman, together with Jo Addison, formed the band Lapwing in 1999, appearing on various compilation albums from labels including Mind Horizon Recordings and Dishy. This week some more alt rock from the States and one that I think JC may have featured a few weeks back. Hum originate from Illinois and are an alt rock band perhaps best known for the song Stars which achieved a lot of radio play on the American alternative stations. They released four albums between 1989 and 2000 when the split, and this their third was their most commercial successful, although saying it hardly set the world alight. Hum sound a lot like a previously mentioned band Superchunk and have that slowed down slacker feel to their music. The album is pretty good, with ‘Stars’ and ‘The Pod’ being the stand out records on it. This was I think the only one of their four albums that was released over here, it came out on Dedicated records, who at the time in 1995, also housed Spiritualized, which brings up nicely my connection to this band. Amazingly in 1995 I was (briefly) a member of Hum, now don’t search Wikipedia because it isn’t there –and here’s why. I was sent to interview Spiritualized (I say sent, I kind of begged like a hungry dog) on tour in London, and Hum were the support band. When I arrived at the venue Hum were sound checking. The guitarist at the time, the wonderfully named Tim Lash was half way through when his manager told him that there was a phone call for him. I had been sitting watching the soundcheck, and had,I thought slyly pinched a can of Red Stripe from their rider, which I was drinking at the side of the stage. The singer came over and said, “hey if you can drink our beer, you can help sound check our songs”. So for roughly six minutes I got on stage and strummed a guitar with Hum. Tim Lash came back and stood and watched and then said dryly, “I hope your interview skills are better” and then before they had the chance to sack me I said “You know guys, this just isn’t working, our musical tastes are just too different” I quit the band and claimed musical differences. Engine 88 were from San Francisco and were doing the rounds in the 1990s. They released three albums, two of these were released on Caroline Records, who kind of made a habit of releasing a lot of albums in the mid 90s that sounded almost identical. Something which I think I called frat boy punk at the time. By this the records were largely punk in the vein of Green Day played by white kids with guitars, with spiky haircuts and a range of stupid gurning faces for the cameras. Engine 88 are not really that different, they cite Fugazi, Nirvana and the Breeders as their influences but really this is Green Day or Rancid by numbers. It’s not terrible though. You kind of feel that around the time there were releasing records there was a bit of frenzy going on as labels looked for bands like Green Day to sign. Clean Your Room was the debut album by Engine 88 and featured at least two fairly decent singles, Funny Car and Twenty both of which failed to chart in the UK (they were only released on 7” though). The band have now split and gone on their separate missions, and I will list these because its kind of interesting. The singer is now in a soft rock band that sound too much like Counting Crows for my liking, the guitarist is in a Pretenders Covers Band (obviously, why wouldn’t you), the bassist teaches martial arts to kids and the drummer runs a video store with the manager of Green Day. Punk really is not dead. JC may have posted this a few weeks ago on his excellent piece on Marion. Assuming he did, I will just add this. I loved Marion and they didn’t get anywhere near the success they deserved. They were perhaps the one band who might have justified the ‘New Smiths’ tag that was lumped on a lot of bands in the 90s. Lets All Go Together was the fourth record off their debut album The World and Body and you know its kind of ace.